Managing a pay-per-click advertising campaign can be time-consuming and expensive. Fortunately, there is a wide range of tools available to create efficient ad copy and to optimize your budget. Here is a list of tools and resources for your PPC advertising campaign. There are Google AdWords tools and additional PPC campaign tools. Many of the tools are free resources to help with keywords, ad copy and targeting. There are also premium tools that provide broad PPC campaign management. Agency Toolkit. 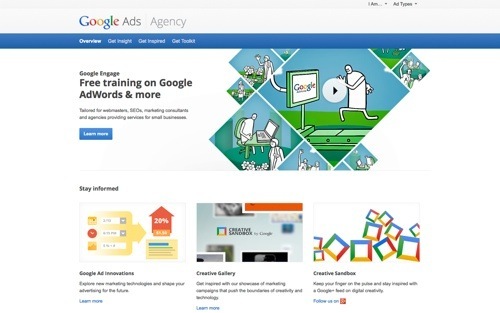 Get all your Google AdWords tools in one place with Agency Toolkit. Explore the AdWords suite of tools to plan, create, place and measure your campaign. Price: Free. AdWords Editor. AdWords Editor is a free, downloadable Google application for managing large AdWords accounts. Use bulk editing tools to make multiple changes quickly. Export and import files to share proposals or make changes to an account. View statistics for all campaigns or a subset of campaigns. Download your campaigns and make changes, then upload the changes to AdWords. Price: Free. Keyword Planner. Keyword Planner has replaced Keyword Tool and Traffic Estimator to make it easier to plan search campaigns. Use Keyword Planner to find new keywords and ad group ideas, get performance estimates to find the bid and budget that are right for you, and then add them to your campaigns. Price: Free. Contextual Targeting Tool. 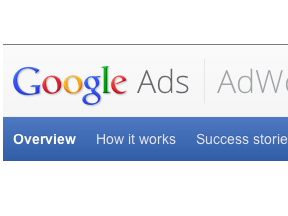 Automatically build keyword lists to intelligently scale ads across the Google Display Network. The Contextual Targeting Tool gets you more clicks and conversions for your campaigns and helps you do it more quickly. This tool lets you build hundreds of ad groups in minutes and instantly scale your campaign performance while ensuring accurate targeting and control over your campaign. Price: Free. Display Planner. Display Planner generates ideas on the best placements for your ads at the right prices to help you boost conversions. Estimates show how ideas may perform based on past results. Historical costs point to ideas within a budget-range and help you set bids for ideas you add to your campaign. Price: Free. Display Campaign Optimizer. The Display Campaign Optimizer is a tool that automatically optimizes both targeting and bidding to help you find additional conversions for your ad groups in Display Network campaigns. This tool is available for campaigns that have reached 15 conversions per month. Simply provide your target cost-per-acquisition, ads, and budget. The Display Campaign Optimizer automatically finds the placements for your ads at the right prices to help you boost conversions. Price: Free. Site and Category Exclusion Tool. Showing your ads in the right place at the right time can be crucial for the success of your advertising. Exclude placements and categories so that your ads don’t get shown out of context or to the wrong audience. Price: Free. Conversion Optimizer. Conversion Optimizer uses your Conversion Tracking and Google Analytics data to get you more conversions at a lower cost. By optimizing your placement in each ad auction, Conversion Optimizer helps you avoid unprofitable clicks. Price: Free. WordHippo. 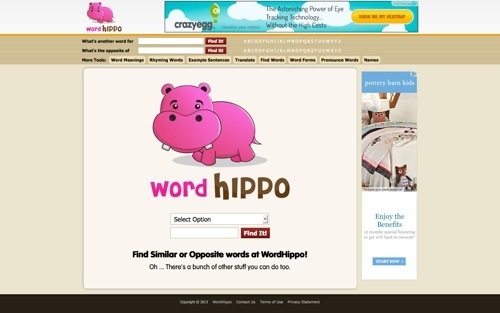 WordHippo is a simple and useful site to find synonyms or antonyms for your keywords and negative keywords. Price: Free. Übersuggest. Get keyword ideas with Übersuggest, the free keyword suggestion tool that makes good use of Google Suggest and other suggest services. Übersuggest can get suggestions either from regular Web search or from search verticals like shopping, news or video. Price: Free. Keyword Niche Finder. Enter a general topic to discover profitable keyword niches in WordStream’s enormous keyword database. Start with general terms like “insurance” or “recipes” to make sure you don’t miss any niche opportunities. Price: Free. Negative Keyword Tool. Enter a relevant keyword below to discover potential negative keywords. Identify the words that appear most often with your keyword. If these words aren’t relevant to your campaigns, set them as negative keywords to avoid wasteful PPC costs. Price: Free. Keyword Typo Generator. Use this tool to generate a list of typos and common misspellings for ads. This will help you generate low competition keywords to save money on PPC ads or to rank easier with traditional SEO. Price: Free. AdWords Wrapper & Negative Keywords Wrapper. AdWords Wrapper is an online timesaving keyword tool that wraps keywords in “quotation marks” (phrase match) and [square brackets] (exact match), +Modified +Broad match, -“Negative Phrase” match, and -[Negative Exact] match. Price: Free. AdWords Performance Grader. This is a free AdWords tool to help understand how well a campaign is performing compared to PPC best practices. The report includes an overall grade as well as individual grades in areas of pay-per-click management, including wasted spend, click-through rate, account activity, long-tail keyword optimization, ad text optimization, and PPC best practices. Price: Free. PPC Web Spy. PPC Web Spy will allow you to quickly find any competitors keywords in just a few seconds. PPC Web Spy allows you to see the actual ads that your competitors are producing, as well as the current cost per click of each keyword so that your bidding becomes more targeted. It will also provide you with the AdWords rank so that you can know how much you need to spend on a certain word to ensure you are getting the right results. Price: Free. Contact for premium pricing, available at signup. Gazel. Gazel is an Excel extension that makes your PPC reporting and analysis fast and efficient. Pull Google AdWords data straight into your Excel workbook, rather than having to deal with text file downloads. Use the Gazel Report Builder to configure your reports. Select campaigns, ad groups, attributes, segments, and metrics then run your report. Price: Plans start at $29/month. AgileBid. AgileBid manages pay-per-click ad campaigns in Google AdWords and Bing Ads. AgileBid continuously searches for the winning bids and shuts down the keywords that don’t perform. Your ad budget is optimized across search engines as AgileBid hones in on the winning keywords and bids. Price: Plans start at $49.95/month. WordWatch. WordWatch is an AdWords management tool that works to find you the best prices for all of your keywords. WordWatch analyzes the performance of a campaign by checking which keywords are performing well and which keywords are not. Profitable keywords are added to your campaigns; keywords that only cost you money are turned into negative keywords. Price: Plans start at $49/month. iSpionage. iSpionage has a PPC Campaign Builder tool to provide you with a complete solution for your PPC campaigns. Keywords are generated, as well as found by analyzing the keywords of your competition. Keywords are then cleaned up and grouped. Then you finalize ad copy and pricing, and export to your preferred search network. Price: Plans start at $59/month. SpyFu. 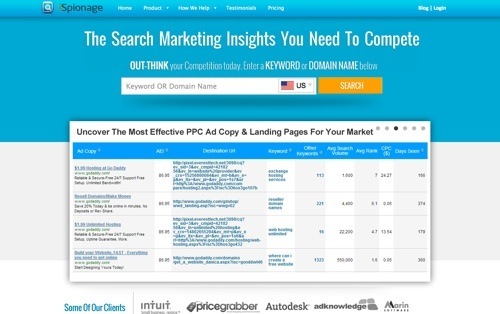 SpyFu discovers and analyzes your competition’s keywords and ad copy. Get your competition’s most lucrative keywords, and weed out the money-wasting keywords. Find successful ad copy, and learn from the competition’s hits and misses. Generate keyword lists filtered to your specifications. 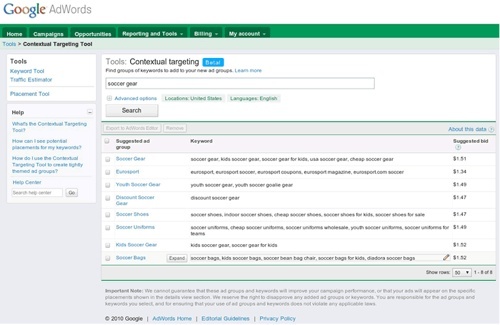 Use the Kombat tool to analyze multiple sites for overlapping keywords. Price: Plans start at $79/month. WordStream. WordStream PPC Advisor is a platform for creating and managing high-performance pay-per-click campaigns. Its latest release includes landing page and lead management tools. With the PPC Success Report, easily review month over month changes in an easy visual format. WordStream’s PPC tools give the ability to continually optimize a campaign through enhanced keyword analytics, keyword organization, keyword grouping and long tail keyword discovery. 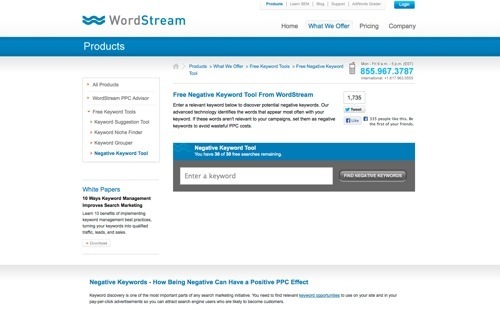 WordStream includes a batch of free tools and a free AdWords Performance Grader. Plans start at $225/month. ClickSweeper. ClickSweeper offers a Software Service for small businesses that features budget-based bidding, web analytics bidding, cost per acquisition and rank bidding options to help improve search ad performance. Utilize keyword performance tracking, bid price optimization, keyword matching type optimization, and custom ad copy evaluation. ClickSweeper alerts can be set for regular intervals or to display when predetermined parameters are reached. Price: Plans start at $75/month. Wordtracker. Wordtracker produces 2,000 relevant keywords in a single search, while Google’s free keywords tool only lets you generate 200. 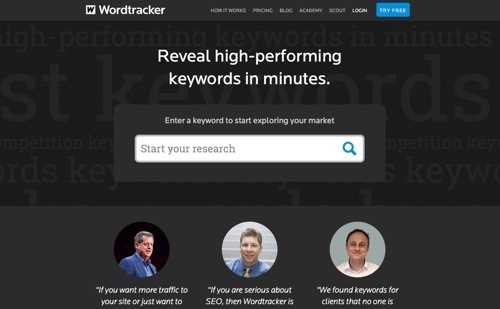 The Wordtracker Keywords Tool has two metrics which let you uncover worthy keywords that are both popular and have a low level of competition. Build and save an unlimited number of projects and lists. Instantly measure the level of serious competition for over 320 million keywords in Wordtracker’s database. Price: $69/month.